Beach towels, water bottles and some sun cream. We better do not leave the house without those lifesavers in the next few weeks. Of course, the bags in which we carry around our essentials are just as important. Therefore, this week’s Trendy Tuesday edition is all about the most popular summer bag trends of the season. You could name them the ultimate summer companions – at least when it comes to bags. Apparently, straw bags are not only made to head to the next sunbed. They even spread the positive beach vibes in the city. Since labels like Gucci, Miu Miu or Dolce & Gabbana showed them in all sorts of styles, such as basket bags or crossbody bags, there is a whole selection to choose from for this spring/summer season. Well, and if you are in the mood anyway, let’s add in a straw hat for the perfect match of accessories. Initially inspired by the design of the British label Shrimps, beaded bags made their huge breakthrough this summer. Whether they show up in a neutral white or in bold summer colors, the pearl bags sweeten up an everyday look such as a chic dinner ensemble. This means, you can pair them with a romantic dress and sandals or with a casual jumpsuit and sneakers. Either way, they make the glittery and pearly cherry on the cake. After they showed up at Gucci and Alexander Wang at their last fall collections, there is no way to pass by those belt bags – also known as fanny packs. Due to their practicability, they definitely had to become the it-bags for this summer as well. The 90s comeback even makes us hold our ice creams with two hands – no worries to drop or hold your bag in an uncomfortable way anymore. Just wrap it around your waist or wear it over your shoulder. A belt bag is the perfect addition for every summer look. P.S. 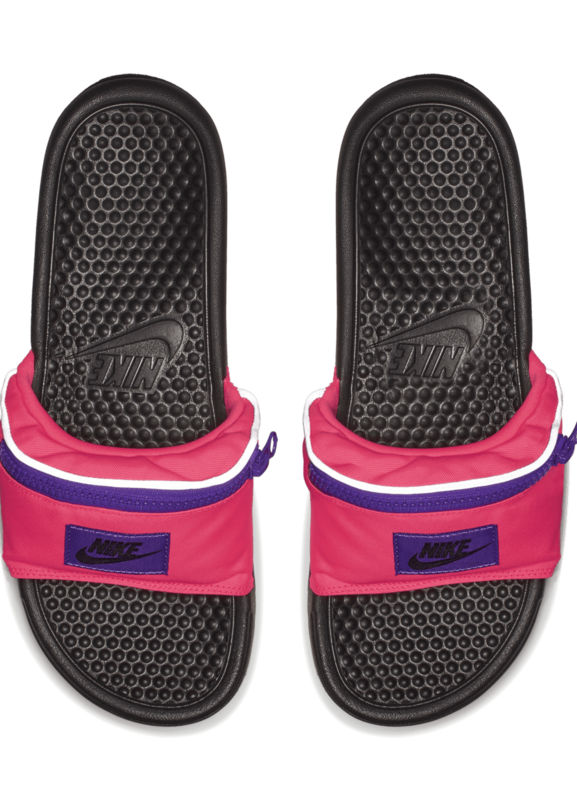 If you are up for an even fancier trend, Nike makes you carry your fanny pack on their new Nike Benassi "Fanny Pack" slides. So why not carry around your sun cream in your shoes for once? 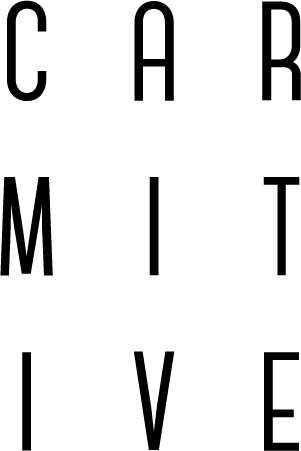 Posted in Trendy Tuesday and tagged Accessories, Bags, Fashion, Inspiration, Lifestyle, Musthaves, Spring Summer 2018, SS18, Style, Things to love, Trend. Bookmark the permalink. One thing that I’ve noticed about these bag options you’ve mentioned and other items that have been on trend, is that everyone seems to be super into the material and what items are made of. For instance, we have straw and beaded bags, vinyl pants, transparent shoes and all. I think it’s because everyone is getting more adventurous with their outfits and taking a simple item and putting their twist on it! Great post! I’m yet to invest in any of these trends, however it’s a while before we get Summer down in Australia! Sehr schöne Auswahl, die Strohtaschen gefallen mir besonders gut! Oh das freut mich Jimena! Loving these summer bags! I want them all! Great post! Loving these summer bags! I want them all! Oh thank you so much Barbara! Oh thanks so so much! Yes, the straw bags are a summery must! I know these bag trends are so fun and summery. I remember my grandmother had both straw and beaded bags. My sister and I thought they were hilarious at the time. Little did I know I should have taken a couple and kept them! fun post! I am such a fan of straw handbags! Oh thanks so much for your feedback Kelsey! oh wooow love your selection ! Just makes me wanna go to holiday!! Oh I am glad you liked it so much Olivia! Have a great day too! That slide with bags is hilarious – I saw that online the other day and couldn’t help but chuckle! Love this list though of bags too cute. Haha oh yes me too – but such a nice idea right? 😉 Thank you very much Aicha! So many killer summer bags- great picks, babe! I’m loving this season’s bag trends! I feel they’re all so practical as they are stylish. Perfect for making a statement to any easy or simple outfit. Thanks for sharing, beauty, and I hope you have a great rest of the week! Oh thank you so much Jalisa! I am very happy you liked them. Yes exactly, they make this summer season even more enjoyable! 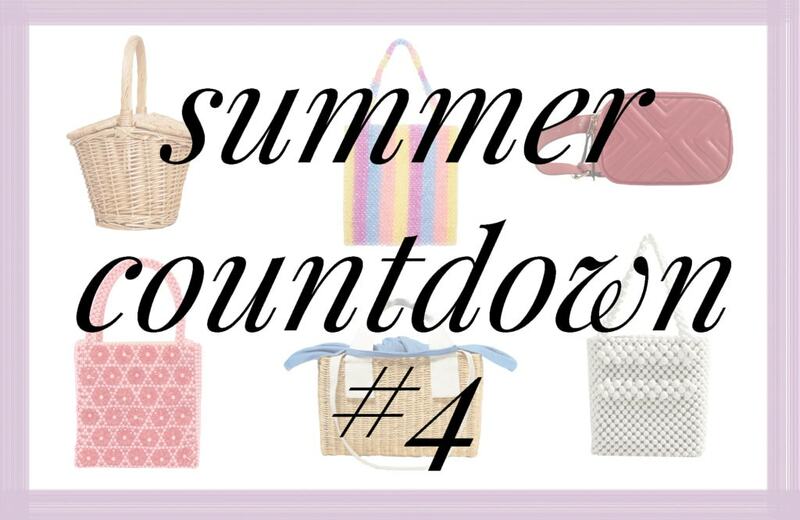 Straw bags indeed, is the biggest trend for this year’s summer, and I absolutely love them all! Love your strawbag picks dear, especially number 2. Oh I am glad you liked them Jessica!